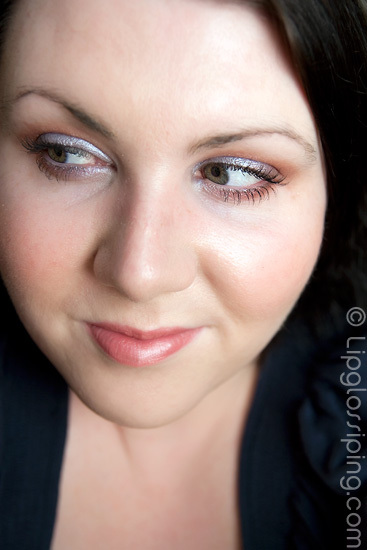 I liked all the products that I was sent from Stargazer thus far… infact, more than liked. They’ve impressed me. Factor in the price for them, and I’m singing their praises from the blogosphere rooftops. Sadly, the eyeshadows that I was sent fall into the category “More what I expected from a budget brand”. They’re not terrible, but they’re nothing that I’m gonna get excited about. Very metallic looking in the pan, the texture instantly reminded me of Superdrug’s MUA… they have that slightly greasy feel to them. Nothing wrong with that, but it does scream CHEAP! 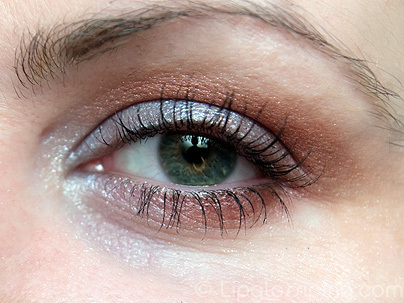 Decently pigmented, the Arctic Blue shade took a little more building than Copper Fire, both are metallic. They wear for a few hours before fading… combined with an eye primer, I just about got 7/8 hours from them before creasing. 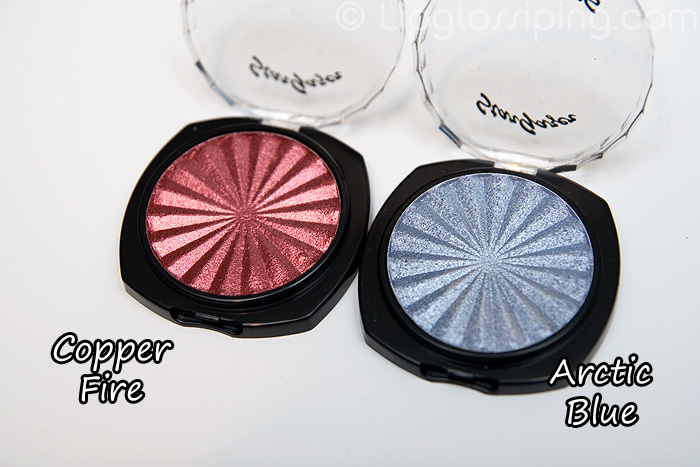 I’m being a little harsh, they’re performing like most budget eyeshadows… and they are budget eyeshadows at £3 each… but I was so impressed by the other products I tried, I think I was hoping for something more exciting from these aswell. What I will say for them though is that the range is immense! Over 50 shades of every colour imaginable in single pan form. You can purchase Stargazer online from their website. Are your lashes on ‘roids? They look mighty handsome. 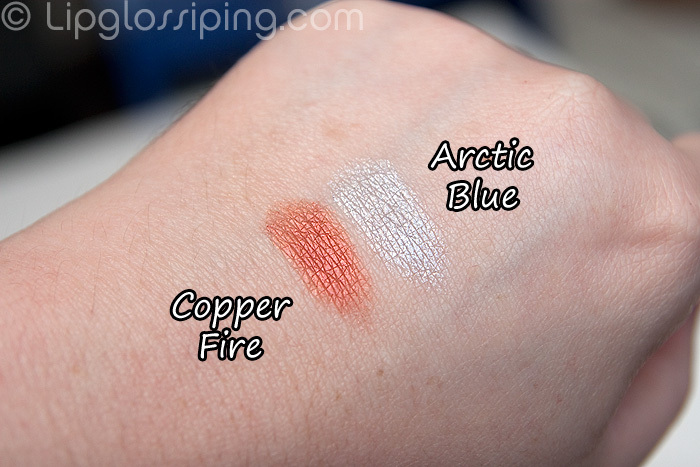 I quite like the look of Copper Fire, would make a nice nudey kinda shade for my skintone. I see what you mean about expecting more from them, I get like that too, if I try a budget product and it is BRILLIANT, I’m a bit letdown if the rest of the range isn’t as good but then that’s the nature of the beast, no one brand gets it right all the time. I keep hearing good things about Stargazer, but I swear I haven’t noticed them in a shop yet. Or maybe I just haven’t looked hard enough for them. I quite like the look of the Copper Fire, that’s pretty, it looks very similar to one I have, think it’s called Rust by NYX. Stargazer must have improved since i first used to use it. It used to be the bargain bin makeup for goths as they were at the time the only brand that did very pale foundation, dark unusual lipsticks and weird nail varnish shades. It was never that good though. you can buy the makeup in large New Look stores. Just stopped to say that despite the fact that I ‘ve never heard of this brand before, I love the look you did with those eyeshadows, even though they didn’t catch my eye in their pots!! !